If you're fortunate you'll love your work. If you're wise you'll work at love. 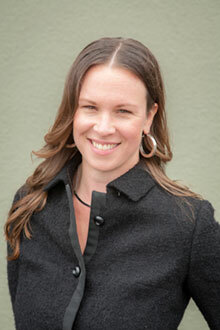 Sarah Wescott is a licensed Marriage and Family Therapist with a specialization in Somatic Psychology. Sarah earned her MA in Counseling Psychology from the California Institute of Integral Studies in San Francisco and has been seeing clients since 2007. As an undergraduate she attended Boston University where she studied the unique American language of television and film and earned her BS in Communications. Sarah spent much of her twenties and thirties traveling internationally before landing in the Bay Area. Working directly with people at UCSF’s Chronic Pain Management Clinic, in the PR department of The San Francisco Symphony and as a massage therapist crystalized Sarah’s long held desire to become a psychotherapist. Her work as a therapist has been with divorcing families, co-occuring disorders, students at a continuation high school, dementia patients, and in private practice with adults and couples. Sarah lives in San Rafael with her husband and two children. Get to know me . . . I was raised in rural Maine, born to a family of professional athletes. Like many people, my greatest gifts and biggest hurts were given to me by my family. I am myself a dancer, snowboarder, and yogi, encouraged by my parents to be deeply embodied. This grounded resource of my physical self helped me thrive despite my family’s intergenerational legacy of alcoholism and physical abuse. My parents divorced when I was an adolescent leaving me with a great deal of confusion, anger and sadness as I struggled to find out who I was separate from my family. As a clinician, I am drawn to work with teens and young adults because I know first hand the benefits of having a sane, caring figure in your life during this important period of self-discovery. As a parent, I enjoy bridging the generation gap between kids and their parents, helping to ease tension and improve communication. I have worked diligently in my own psychotherapy to create a healthy, happy family. Now, I hope to use some of that experience in service of other Marin families.